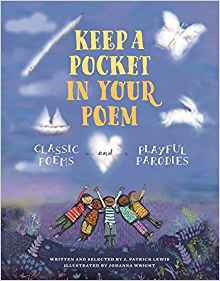 J. Patrick Lewis is the author of Keep a Pocket in Your Poem: Classic Poems and Playful Parodies, a new poetry book for kids. 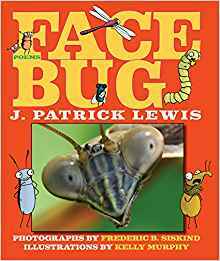 He is a former U.S. Children's Poet Laureate, and his many other books include If You Were a Chocolate Mustache and Face Bug. He lives in Westerville, Ohio. Q: How did you come up with the idea for this book of parodies of famous poems? A: Light verse has always provided a second home for me, and parodies are a hallmark of light verse. I know parodies are not to every poet’s liking. Mary Ann Hoberman, for example, told me that she had no interest in writing them. But Keep a Pocket in Your Poem felt like a natural evolution for me, even though not every poem in the book is intended to be humorous. Q: How did you decide which poems to parody? 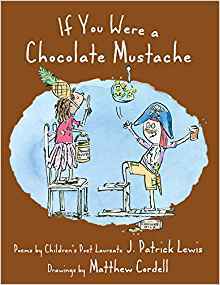 A: When I first submitted the ms. to my editor, the fabulous Rebecca Davis at Wordsong/Boyds Mills Press, it contained 60 parodies, but most of them were a bit too adult for children. So we ended up with 13 poems. The first thing to do is to choose more or less well-recognized poems/poets. In some cases, the original poems cried out to be parodied; in others, I had been familiar with the poems for many years, and I wanted to “celebrate” them in my own way. To steal the secret of the sun. To grasp the endlessness of time. Before the night has swept the sky. Its limbs against the reach of space. I meet the evening face to face. I take the measure of the earth. Q: What do you hope kids take away from these poems? A: In my opinion, children’s poetry should be primarily about playfulness, and most definitely not instructional. In the case of parodies, if I can encourage children to go back and read original poetry, I will feel I have succeeded. Q: You served as the U.S. Children's Poet Laureate from 2011-13. What were some of your favorite moments in that role? 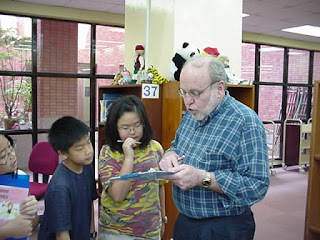 A: I was pleased to give four public presentations—two at the Poetry Foundation in Chicago; one at Poet’s House in New York, and one at the Folger Shakespeare Library in D.C. And I continued to make elementary school visits worldwide, which I’ve done for many years. I’m up to 550 school and library visits. A: My friends Steven Withrow and David Harrison and I have just finished a collection of biographical poems about famous composers entitled A Symphony of Sonnets, and I am now working on a second series for Scholastic, this one about famous holidays. A: I’m happy to report that I have published over 100 children’s picture and poetry books with some of the finest illustrators in the world. Oh yes, and after a wild and rugged youth as a bronco rider, lobster fisherman, opera singer, confidential police informant, Economics professor, and Russian spy—I have been to Moscow 13 times (shhh! )—I am now in the Federal Witness Protection Program in XXXX, Ohio with my wife XXXX and two vicious K-9 guard toy poodles. Please do not ask to see my secret tattoos.